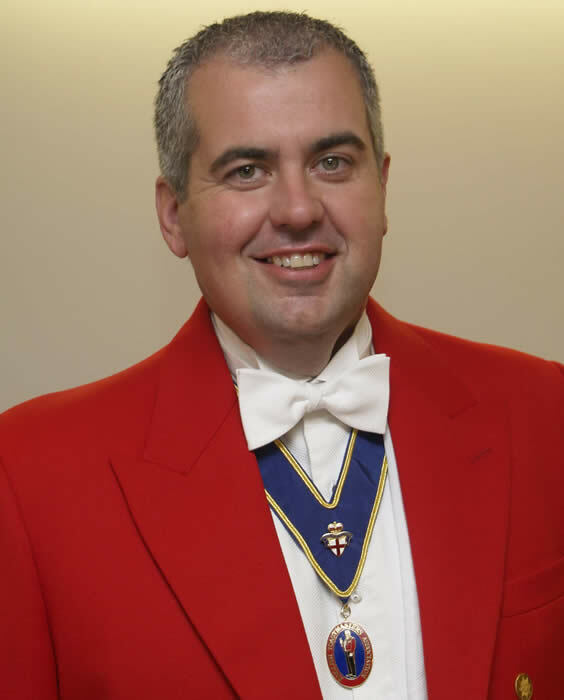 Colin is a first class experienced toastmaster for hire and master of ceremonies. As your toastmaster he offers a friendly and courteous service for all types of weddings, functions and occasions at virtually any venue in the UK or world wide. All toastmaster's duties that you require will be provided in the way and style that you want. If you want to feel pampered and special, it is my honour and pleasure, as your toastmaster, to look after you and make you and all of your guests feel cared for and special. As your toastmaster I will take very great care of you and look after you and your guests on your special day. I also offer services for events of all types including corporate, government, military, royal, civil and civic functions, as well as services as a, quiz master, auctioneer and master of the ceremonies at all types of functions and events. Colin mainly works in and around Essex, London, Hertfordshire, Cambridgeshire, Suffolk, Norfolk, Surrey and Kent. But is always being sought after by many of the larger stadiums, Arenas, and Hotels across the country. He will also be pleased to travel anywhere in the world to be your toastmaster and will pay special attention to your requests and instructions, taking great care that every detail is attended to. I believe that all toastmasters at all functions should make everyone feel cared for and special. The team that looks after your function should care for you as the clients and I honestly believe that not enough toastmasters seem to care for the people that they work with. Caring and kindness go a long way to making sure that everyone gets the best day possible. As a member of The English Toastmasters Association I am dedicated to offering the highest possible standard of service to my clients. As a carefully trained toastmaster I am given ongoing support and advice, and inspired to continually give my clients the best possible service. Our members believe that our client’s needs are paramount and understand the importance of listening to what you want and not telling you what we think you should have. You should expect care and attention to detail from me as a member. You will get a higher level of personalised and caring service to make sure that you feel pampered on your special day. I am trained to the very highest standards of care for you. My services are very much more than the old fashioned toastmaster. Therefore when you are choosing your wedding toastmaster, who is a member of the English Toastmasters Association, you are choosing a toastmaster from an organisation whose members subscribe to a strict code of ethics, as well as an association who regularly monitor my performance as a member. All this to ensure that you are at all times being offered only the best. As a trained member of The English Toastmasters Association I can offer you a top class service as a professional toastmaster, covering the length and breadth of the country and prepared to travel anywhere in the world. Civil Weddings, Church Weddings, Weddings in Temples, Weddings in Synagogues, Registry Office Weddings, Jewish Weddings, Bar Mitzvahs, Bat Mitzvahs, Hindu Weddings, Sikh Weddings, Muslim Weddings, Open Air Weddings, Multi Faith Weddings. Other services include Celebrant for Affirmation of Vows and Baby Naming Ceremonies. Wedding Ceremonies toastmaster, Essex, London, Hertfordshire, Cambridgeshire, Suffolk, Norfolk, Surrey, Middlesex and Kent.